Clarence Ward III filed suit against Exxon Mobil Corporation and Intracoastal Tubular Services Inc. in the 24th Judicial District Court on Sept. 24. Ward asserts that he and his deceased parents, Clarence Ward Jr. and Alberta Ward, were exposed to radioactive materials known as Technically Enhanced Radioactive Materials (TERM) created in drinking pipes in the process drinking for oil. The plaintiff claims that Intracoastal Tubular Services Inc. was in the business of cleaning TERM-contaminated pipes from 1946 to 1992 on its 33-acre property located at 1209 Peters Road in Harvey. Ward alleges that the cleaning of the pipes at Intracoastal Tubular Services Inc. property created hazardous radioactive dust that became airborne and drifted off the property and into surrounding neighborhood including the nearby residences the Wards lived in for over a 46 year period. 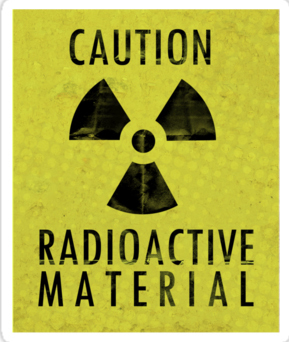 The plaintiff contends that due to the exposure to radioactive materials his parents contracted cancer and died and that he is at an increased risk of contracting cancer as well. The defendant is accused of failing to conduct safe pipe cleaning operations, failing to properly dispose of radioactive and other hazardous waste, failing to clean up the contaminated grounds and water, failing to properly test pipes, failing to warn the plaintiff and his deceased parents of the danger and violation of state law. Damages in excess of $50,000 is sought for medical bills, physical pain and suffering, mental anguish, loss of enjoyment of life, permanent disability, loss of earnings, loss of enjoyment of life, permanent disability, loss of earnings, loss of earning capacity, loss of love and affection, loss of companionship, loss of society and funeral expenses. Ward is represented by attorney Henry T. Dart of Covington.